Do you like to broaden your blog world knowledge like I do? Today’s tip focuses on Blog Hops. Check out Blog Hops for an easy way to find new bloggers that share similar interests and new blog world connections. Here’s several for you to hop over to just in time for Easter! 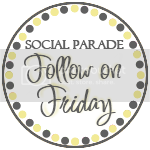 First, there’s the Social Parade over at Smart and Trendy Moms. 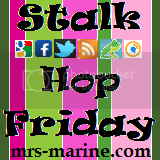 Next hop on over to A Mommy’s Sweet Blog Design where she has a fun Friday blog hop as well as adorable blog templates for a low price and great blog tutorials for us newbies. Okay, there are your first five Blog Hops to check out if you aren’t already hoppin’. I’ll post more in the coming weeks so that you have lots of opportunities to find new connections and like-minded bloggers. Have fun! Thanks for the information! I'm a new follower, here on a hop. Come follow me too! Hurray for blog hops!! I'm following from Hop Along Friday. It'd made me sparkle if you'd join my Spring Blog Hop, too.